Samsung’s innovative range of Hi Def LED Smart TV's takes your television experience to a whole new level. With its superior computer-like features, the new Samsung TV technology will easily blow you away. With an amazing picture quality, voice interaction, as well as other advanced features, this is actually the finest of Samsung TV's (let alone all Hi Def LED TV's) you will find on the market. Using a technology that continues to produce even slimmer models, the new Hi Def Smart LED TV's from Samsung are even sleeker. With its S Recommendations, you no longer have to surf the TV channels looking for something to watch. Actually, the TV will recommend to you some of the channels you should try. This is according to your interests in TV watching. All you need to do is ask the Samsung TV programs that are on. To this, it responds with an array of options that have been selected from catch-up TV, Live TV, apps and video on demand services. By spending more time with your TV, it gets to know what you like watching. You will use the Smart Touch Control to ask your TV, “Anything interesting to watch? And it should respond by showing a Recommendation Bar that lists some of the viewing options available to you. This feature is found on some series of Samsung TV's, like the F7500 LED TV's, F6400 LED TV's, and F6670 LED TV's, among others. Just turn on your Samsung TV and it immediately shows the Smart Hub. This is an exciting media hub which organizes your entertainment in a convenient manner. The On TV lets you enjoy a shortlist of recommendations that offer you immediate access to the programs you like watching most. On Samsung's LED TV's can also navigate through the five panels seamlessly, and these have different types of from the common programs and movies. Social-infused Samsung TV This lets you see your friends’ best videos on twitter and facebook, but instead of on your computer, it's on your Samsung TV. Also, you can make video calls by using Skype, and this is through the Social Panel. Smart TV Apps The technology behind the Apps Panel on most Samsung TV models enables users to store as well as access collections of apps quickly. These are the apps that you have downloaded on a particular Samsung Smart TV. Movies & TV Viewing The feature of Movies & TV Shows Panel gives instant access to a whole world of videos on demand. You can also access recommendation, especially those for new and exciting videos that are tailored to your preferences. Also, you are able to enjoy a second screen experience using a Samsung mobile device. Samsung All Share This feature lets you share photos, music and videos between your Smart TV and a compatible mobile device from Samsung. This feature is made possible by a wireless home network from AllShare Panel. This in turn lets you to be able to browse your content across all your devices. Without a doubt, this is the dream TV for anyone who wants to take their television watching experience to a whole new level. 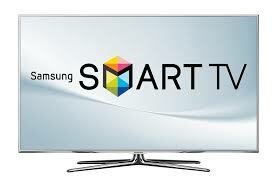 More than just a TV, Samsung Hi Def Smart LED TV's are the latest revolution in the television industry. Slim and sleek, this is something you should not miss.